For a striking addition to your landscaping, use “QuickStraw,” a long leaf pine needle mulch currently available at Grizzly’s Landscape Supply near Route 1 near Lewes. These compressed bags of pine mulch give you more than twice the coverage of a standard bale, and all without the mess! Why Mulch with “Quick Straw” Long Leaf Pine Needles? Pine needles can be an appealing mulch for a number of reasons. The Swift Straw brand in particular is the largest distributor for pine straw in the southeast. 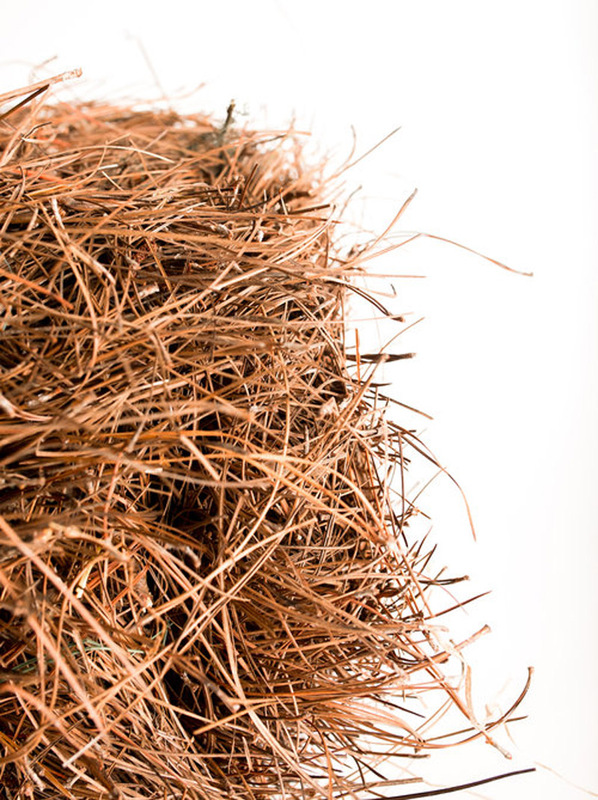 We’re proud to carry their “QuickStraw” long leaf pine needle mulch that makes handling pine straw mulch simpler for homeowners and landscapers alike. Twice the amount of pine needles for a lower cost! Unlike standard pine needle bales, the “QuickStraw” pine needle mulch comes in convenient mulching bags that are easy to transport from our landscape and garden supply to the your project site. Because of Swift Straw’s unique manufacturing system, they fit two standard bales of pine needles in every bag so you get more pine needle mulch with “NO MESS.” Now available in 2.3 cubic foot compressed bales at Grizzly’s Landscape Supply. Contact Grizzly’s or visit us just outside of Lewes, DE to learn more about this organic pine needle mulch. Schedule a free on-site consultation if you’d like one of our mulching experts to inspect your yard and discuss with you the best mulch for your landscaping and/or garden. 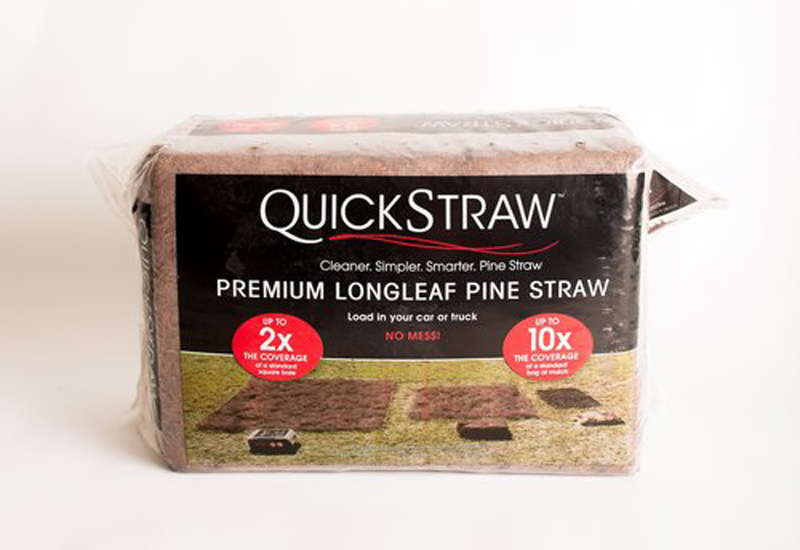 Need help installing “QuickStraw” long leaf pine needle mulch around your home? Schedule our mulching services to deliver and install mulch on your timetable. Get in touch with Grizzly’s Landscape Supply & Services today to begin!